From humble beginnings in North West Arnhem Land Ursula Yovich has defied the odds to become one of Australia’s most celebrated performers. Recently listed as one of the top 21 most iconic women of the Australian stage, page and screen, she has dazzled audiences all over the world from the concert hall of the Sydney Opera House, the Queen Elizabeth Hall in London to Carnegie Hall in New York. For her stunning performance in Capricornia she was awarded the 2007 Helpmann Award (Australia’s equivalent to the Tony Awards) receiving her 4th Helpmann nomination for her role as the Black Dorothy in the Wizard of Oz. In 2010 she was nominated for her 5th Helpmann for Best Actress, alongside Cate Blanchett for Waltzing the Willara and Best Cabaret for her one woman show Magpie Blues. She has played significant roles in the feature films Jindabyne and Baz Luhrmann’s Australia and performed on every major theatre stage in Australia. In 2012 she also featured in Pecan Summer, Australia’s first Indigenous Opera and performed a sold out season at the Sydney Theatre for Secret River directed by Neil Armfield and in Wesley Enoch’s translation of Bertold Brechts Mother Courage at the Queensland Theatre Company. Sydney based future-soul artist Ngaiire is building a reputation for herself as one of the Australia’s most recognizable and dynamic vocalists and performers combined with her love for flamboyant stage attire. She released her debut album ‘Lamentations’ this year to much critical acclaim as one of the best Australian releases of 2013. Ngaiire spent some time writing songs for her album in an obscure drinking bar in the suburban outskirts of Tokyo, Japan with celebrated Jazz pianist, beat maker and composer Aaron Choulai. Her peculiar vocal arrangements and rare sense of soul transcend universal territories with its electronic soul elements as well as gratifying the folk sphere with her great adoration for storytelling and heartfelt laments. 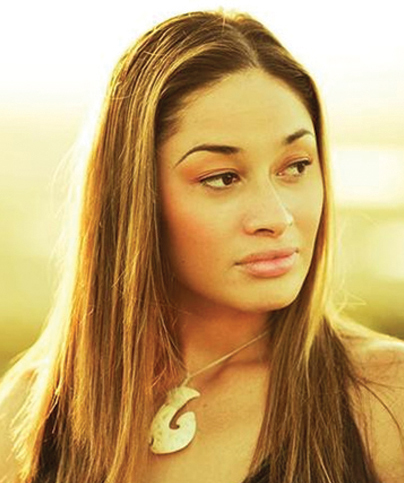 She rounds off a massive year in 2013 as the support for Alicia Keys and John Legend. 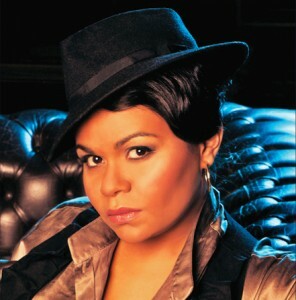 Emma Donovan is one of Australia’s finest Indigenous singer/songwriters. 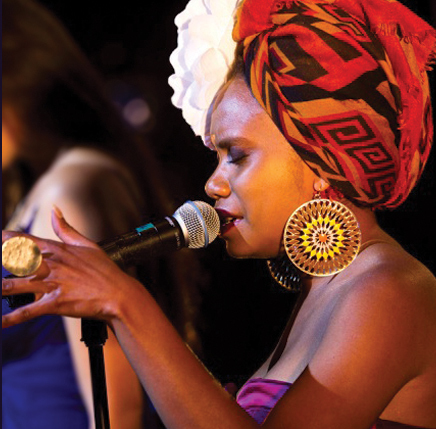 She is committed to educating the global community about Aboriginal culture and spirituality with the inclusion of her traditional language, Gumbayngirr, in her music and songs. Seamlessly blending roots, reggae, gospel and soul, Emma is a passionate singer, songwriter and collaborative vocal artist. Today, Emma continues to work with ensembles such as ‘The Black Arm Band’ and ‘Barefoot Divas’, and has now embarked in an exciting new collaboration with Melbourne based band ‘The Putbacks’. Her vast concert experiences include the Royal Concert Hall London, Musee de Quai Branli Paris, Benaki Museum Athens, Tjibaou Cultural Centre New Caledonia, Festival of Pacific Arts Palau, Treaty Grounds of Waitangi New Zealand, the Sydney Opera House & the Winter Olympics in Vancouver. New Zealand’s soul diva, Whirimako Black has built up a loyal jazz, blues and Maori fan base with her sublime Te Reo Maori and English songs. She is, undoubtedly, one of New Zealand’s finest musicians. In 2006 she was awarded the New Zealand Order of Merit for services to Maori music and in 2008 she picked up the New Zealand Music Tui award for best Jazz Album. Whirimako has performed throughout New Zealand, Europe and Australia over the past decade. 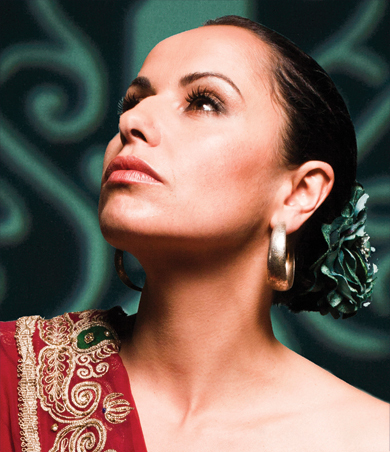 She creates a truly unique, intimate presence in her performances with sublime and exceptionally expressive voicethat has been described as ‘pure velvet’.Whirimako’s distinctive sound, her use of traditional Maori musical forms and Te Reo Maori make her a unique and powerful voice for New Zealand. In 2012 Whirimako appeared in her debut acting role as the lead in the NZ feature film White Lies, produced by South Pacific Pictures directed by Dana Rotberg with Producer Chris Hampson. She is currently nominated for Best Actress in the Asia Pacific Screen Awards and in the MOA NZ Film Awards for her performance. Merenia Gillies is a multitalented, beat throwing musician, who sings in 5 languages and is a powerhouse performer on stage with the most instinctive vocal talents of her generation. Born in Rotorua, New Zealand, Merenia was signed to Pagan Records at the age of 16. With her heritage a mixture of Maori, Roma Gypsy and Welsh, she embraces and indulges in an eclectic array of musical influences useing the traditional styles of her ancestry as a platform for layering hypnotic beats and sultry, soaring vocals. She is one of Australia’s most inimitable popular recording artists and live performers in the Soul, Club and Latin Genres. Often described as a soulful Latin infused Sharon Jones, Merenia works extensively as a live performer and studio musician performing across Australia, in Asia and touring on the international stage. Maori singer/songwriter Maisey Rika has one of Aotearoa’s (New Zealand’s) most impressive voices, creating music that fuses cultural roots, memorable tunes, and honest, sometimes haunting lyrics. Hailing from the small town of Whakatane, this singer/songwriter’s powerful, majestic voice has captivated audiences worldwide. Maisey began singing professionally at 13 years of age. 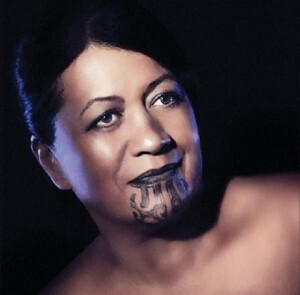 Her first recordings brought her to national stardom with “E Hine”, a classic collection of Maori traditional songs, achieving double platinum sales and winning Best Maori Language Album at the New Zealand Music Awards. Maisey was nominated for Best Female Vocalist in 1998 at age 15. In 2010, she won all four Maori Music Awards for which she was nominated: including Best Māori Female Artist and Best Māori Songwriter of the year and she repeated her sweep again in 2013, winning 5 Maori Music Awards for her most recent recordingWhitiora as well as picking up Best Album at the 2013 Vodafone (Tui) Awards. 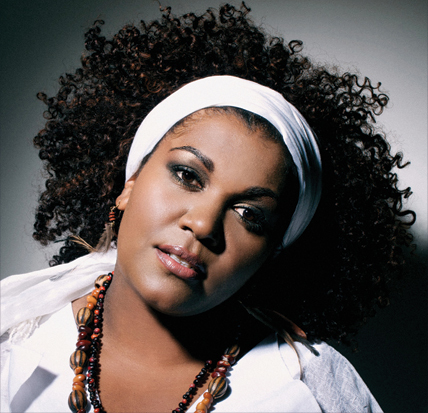 She has toured Malaysia, Singapore, Japan, Indonesia, Hawai‘i, and Australia and has performed at WOMAD Taranaki and Australian World Music Expo. “Barefoot Divas Stun Sydney!’ “A new show called ‘Walk a Mile in my Shoes’ has become the surprise hit of the Sydney festival.